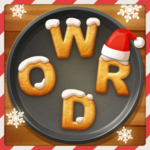 After solving Word cookies CAULIFLOWER Level 20, we will continue in this topic with Word cookies LEEK 01, this game was developed by Bitmango the famous developer known in game puzzles. The game has too many packages splitted in levels, each pack contains 20 levels where you need to find all the hidden words. And, new updates are available every weeks so, it is a must have. • If you’ve found a valid word it will remain highlighted and marked on the word list as found. The aim of the game is to find all hidden words, you can easily improve your vocabulary, concentration and spelling skills. Many answers are easy to find but everybody could stuck in one or another words. That was all you need to solve the game : LEEK 01 .If you are searching for next level cheats, you can find all the words in this topic : Word Cookies LEEK 02, you can then follow us for next update.